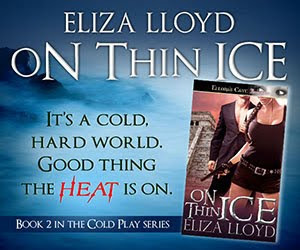 Eliza Lloyd: What's next for the WICKED AFFAIRS series? With the release of Wicked Lord on September 14th, a new character is introduced, Alizabet Standifer. She is the only sister of the Wicked Lord Redding, Edward Chase, and has her own marriage difficulties. This book, tentatively titled Wicked Secrets, follows two people with the darkest of secrets. Her husband Charles has just admitted to an affair. Yes, I know, it is going to be hard to redeem him by the end of the book. Charles is fighting his heritage - a father who was the veriest scoundrel and seducer of women. Charles fears it is in his nature to be as faithless. Alizabet was abused as a child and leaves her cold to his advances. Can they stop the spiral of anger and hurt before they are destroyed by wicked secrets? Eliza, it was wonderful getting to chat with you at ORA. Sounds a really challenging topic! I love it when an author takes a really difficult topic, explores it and makes it work! Can't wait!